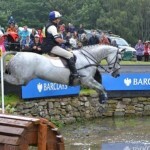 This year  Blair Castle International Horse Trials in Perthshire will be renamed the Blair Castle Barclays International Horse Trials after the global financial services provider signed up as headline sponsor following a highly successful two year relationship. Regarded as one of the world’s leading international eventing fixtures, last year  the Blair Castle Horse Trials provided the ideal platform for Barclays to launch its tailored agricultural service, designed specifically for estate owners, rural businesses and farmers. The enhanced service brought together the wealth and investment management and corporate and retail divisions of the organisation in Scotland, showcasing the specialist service to potential clients. The approach includes tailored cashflow management solutions for farming businesses and out of hours support from a dedicated agricultural banking team in Scotland. Commenting on the renewed sponsorship, Craig Jamieson, director of Barclays Wealth & Investment Management in Glasgow said: “Our involvement last year really was the deciding factor for us in determining our continued support of this prestigious event. The trials proved to be an ideal fit for us, especially as we continue to grow our presence in the agricultural and renewable energy space in Scotland. “In addition, the trials were our first public venture in Scotland in terms of uniting all our Barclays divisions to support a major event and we were delighted by how we were received by our clients. 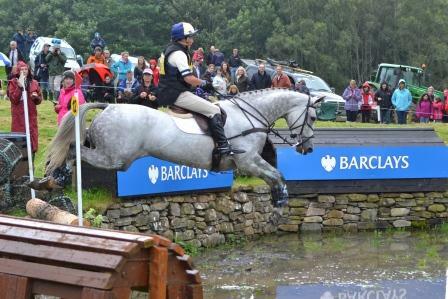 The Blair Castle Barclays International Horse Trials will run over four days from Thursday 22 to Sunday 25 August 2013. 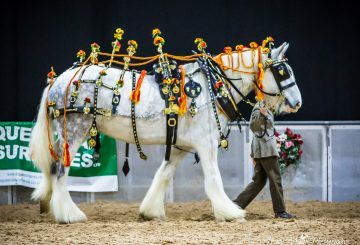 Organisers anticipate in excess of 40,000 visitors from around the UK and overseas. This year the competition will be a core event for the team trainers and selectors from around the world as they prepare to pick their teams for the World Championships in 2014. The sport was originally developed as a military event, drawing on the requirements for an Officer’s charger; skills include steadiness on parade, the ability to cross the country at speed in battle and the fitness needed to carry on with duties the following day. Members of the senior Barclays team, including private banker Peter Kellock and directors Craig Jamieson and John Godfrey will be attending the event, along with colleagues from across the organisation.